Spoke-N-Ride! A casual social ride through historic locations around San José with talks and Q&A given by SJBP organizers, local bike advocates, and Bike Party organizers from other cities around the world! 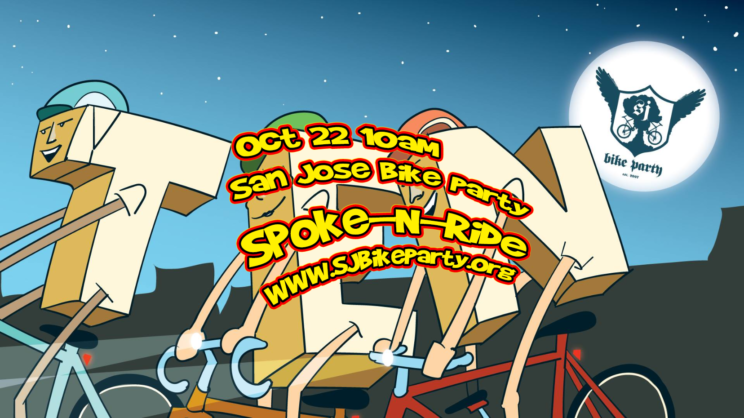 Come learn about what it takes to make Bike Parties happen, network with other organizers, get inspired to start your own community building project and enjoy the ride. The route is a leisurely 13 miles and starts with coffee and ends with beer.